POCATELLO — Chances are high that several Southeast Idahoans who peered out their windows Wednesday morning to the sight of a surprise snowstorm decided not to leave their homes for the day, but for some professionals that’s not an option. So long as it’s not Sunday or a federal holiday, the mail must be delivered and for U.S. Postal Service letter carrier Brett Hochhalter, a mail bag wasn’t the only thing slung over his shoulder Wednesday afternoon. 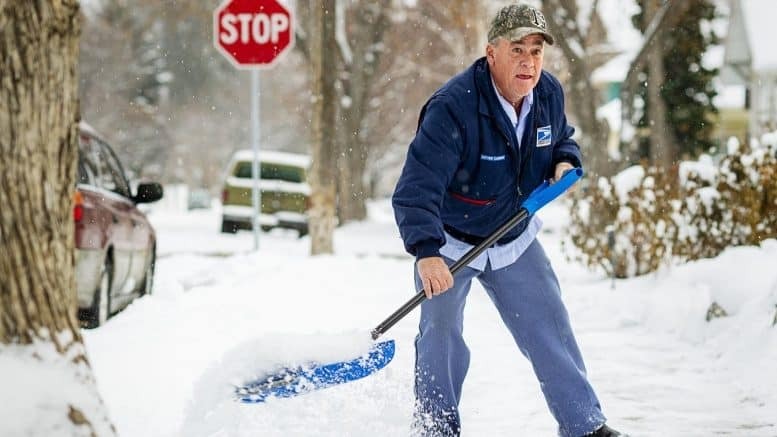 After delivering mail to the many Pocatello residents along his 8-mile route near Idaho State University, Hochhalter grabbed a snow shovel and proceeded to clear the sidewalks and some of the driveways for several homes along his route, which encompasses approximately 50 blocks.